I have a number of legislative rules that have been approved by the legislature. Now I need to remove all the language that is marked strikeout throughout the document. Is there an easy way to do? what word processor are you using ? if it is under ms word you should be able to adjust that under tracking changes in the review sectiontechnically the words are already deleted and they are not in the final copy. but if you have it set to track changes they will show up as having been there and been deleted.Please make a copy of the file first just for safety sakebut then you should be able to just remove the track changes and it should remove them all. 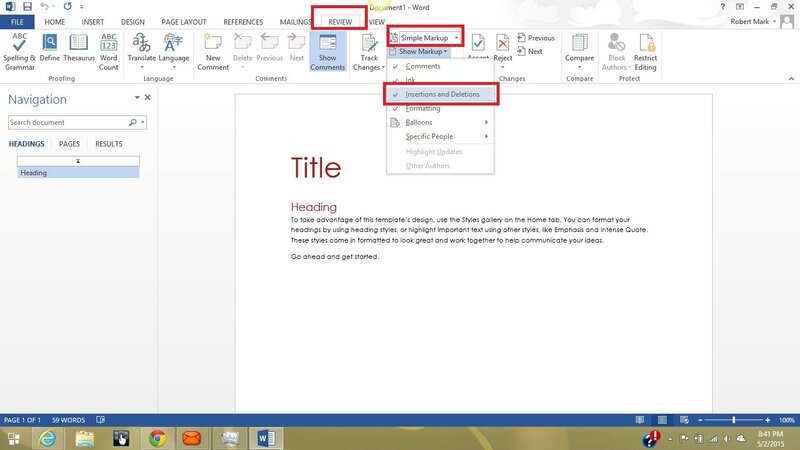 What are the purposes of these five features in Microsoft Word 1.